Welcome to RB Photo Portfolio. 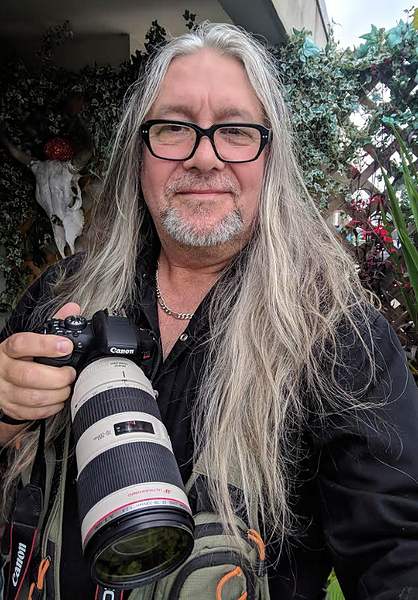 I am a freelance photographer who enjoys capturing images of the life around me be it vast vistas or the magical world of macro photography and everything in between. NOTE: Aspiring models are always welcomed and have access to all session photos for free. IMPORTANT: I will not photograph minors without written parental consent and accompaniment for studio environment photo sessions. My service fees can range from free simply for the opportunity to try something new and to "pad" my portfolio to below competitive rates. FREE: Provide me with a full access pass to your Concert and all the photos that I have taken will be yours for free! Most images* in my portfolio are available for commercial and editorial use - that being the Editorial License, Social Media License, Web License and Full Commercial License. Photos on this site are .jpegs. RAW Images can be made available. The license is a legal agreement between myself the photographer and you the client and defines the usage rights that have been granted for a given project requiring my image(s). Robert as the creator of the image(s) is always the copyright holder. * A photo with a recognizable person in it always needs a model release from that person if desired for commercial applications. Please Note: A signed contract is required for copyright transfers. As the content creator, I retain the rights to all my images. Please contact Robert for additional information and licensing options and fees.